(11-19-2017 04:12 AM)Sylvain Cote Wrote: I have done it in the past, just don't remember right now, I am currently transmitting bytes but the result are not conclusive. (11-19-2017 04:12 AM)Sylvain Cote Wrote: Yes it does, but Monte suggestion removes the USB-to-Serial dongle from the equation. (11-19-2017 04:12 AM)Sylvain Cote Wrote: Did you buy the 41CL serial cable from Monte or did you made one by yourself ? I bought everything from Monte. I’m talking about the female 2.5 jack connector mounted on the 3D port cover. I had to remove it. But using the info on the 41CL manual (pages 92-...) I was able to reconnect it properly (or maybe not). I know the ground apparently goes to the middle longest and curved tip (I’ve checked that with my DVM). (11-19-2017 04:12 AM)Sylvain Cote Wrote: I understand. I know, and I appreciate that greatly. I would hate to have to open it again. The risk of damaging the case or something else gets higher the more I open it, and I’ve done that quite a few times already. together. This creates a loopback condition. and returns back to the 41CL receiver. Everything is fine until I execute XEQ “YGETLB”. At this point The display shows almost immediately “TIMEOUT”. Then, when I execute XEQ “YPEEK” I get “805010-0000”. (11-19-2017 05:11 AM)Monte Dalrymple Wrote: "0000"
Arrggg, I forgot that part. I even setup my logic analyser on RX & TX to see what was going on. Thanks for the reminder Monte. (11-19-2017 05:37 AM)Neve Wrote: Everything is fine until I execute XEQ “YGETLB”. At this point The display shows almost immediately “TIMEOUT”. Check that your loopback wire is fully connected. I got the same timeout message, then I realized that the loopback wire was not fully connected. I plugged the wire correctly, then redid the complete procedure and it worked. I’ll try that again, thank you Sylvain. I checked and reconnected 2 and 3 on the DB9. I still get a “TIMEOUT” shortly after XEQ “YGETLB”. Dernière validation, après ça je suis à court d'idées. 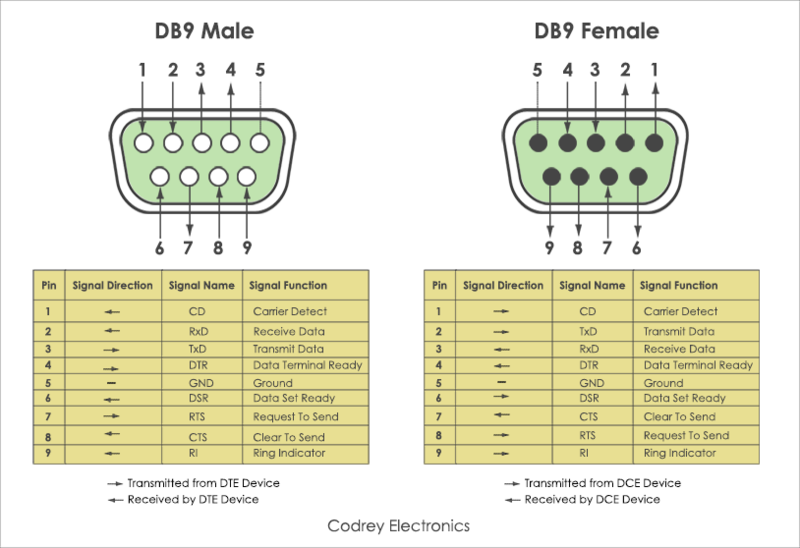 Just to be sure, the pins to shorten (2 & 3) are the ones from the DB9 female pinout here. Yes, the one on the other end of the 2.5 jack cable I got from Monte. I opened up the calc (again) and I checked for possible shorts between the CPLD connector and the female 2.5 jack mounted on the 3D port cover. No shorts there. Just to verify and be sure it’s not reversed, the ground wire on the CPLD side is the one closest to the FPGA connector, right? And it goes to the longest, curved middle tip on the 2.5 side. If this is the case, I have it right. The only thing that could be wrong, from my point of view, would be the reversed TX/RX on the 2.5 female jack. (11-19-2017 09:49 AM)Neve Wrote: I opened up the calc (again) and I checked for possible shorts between the CPLD connector and the female 2.5 jack mounted on the 3D port cover. No shorts there. Just to be verify and be sure it’s not reversed, the ground wire on the CPLD side is the one closest to the FPGA connector, right? And it goes to the longest, curved middle tip on the 2.5 side. the serial port is on. I’ll check that out and report back when I get home. (11-19-2017 09:49 AM)Neve Wrote: Just to be verify and be sure it’s not reversed, the ground wire on the CPLD side is the one closest to the FPGA connector, right? Here is a picture of my not yet installed second 41CLv5 with the serial cable plugged in. Yep, that’s it. Exactly the same here. Do you have a picture of which wire goes where on the female 2.5 jack by any chance? (11-19-2017 08:11 PM)Sylvain Cote Wrote: Here is a picture of my not yet installed second 41CLv5 with the serial cable plugged in. Thank you both for your valuable help. Just to let you know that, although I haven’t had the time to try the update process on the Mac, the method Monte suggested to test the connection works fine now. I assume the update process will perform flawlessly now. Thanks to Sylvain’s pictures, I was able to see what was wrong. The Grnd was not connected to the right pin on the 2.5 female jack. Problem solved. I’ll update this V5 board as soon as I have some time and let you guys know how it went. Thank’s again to all those who tried to help. Just to let you know that the update went fine (finally). (11-21-2017 03:08 AM)Neve Wrote: On a side note, the clupdate program showed 13 pages out-of-date, not 14. You lost me here, why that remark ? (11-21-2017 09:54 AM)Sylvain Cote Wrote: You lost me here, why that remark ? It’s just that I thought it was worthy to mention that while the guide for the update process states that the clupdate program should show 14 pages out-of-date, that mine showed only 13. Nothing major, though. I’m sorry if it wasn’t worth mentioning.